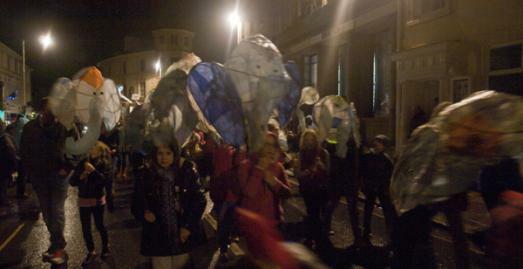 The hugely anticipated Truro City of Lights festival and parade lights up the city in in spectacular fashion delighting the crowds who gather to see display. 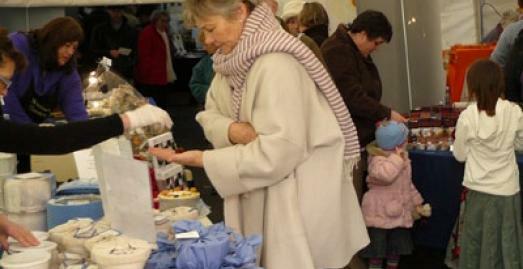 The weekend offers a fantastic shopping atmosphere with great food and designer crafts all under cover in heated marquees making it the perfect opportunity to stock up on an array of fine gifts for the festive season. Come and visit the big white marquee on Lemon quay in Truro, where you will find a fantastic display of great products, made by some of the finest artisans, artists and food & drink producers working in Cornwall today. Liskeard Lights Up 2012 will be an all day event, as darkness falls the town will gather for The Lights Before Christmas lantern parade and carols. There won’t be just one Santa coming to town this year, but a whole sea of them! 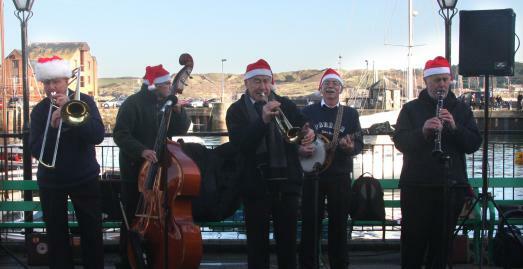 Cornwall Hospice Care’s annual Santa Fun Runs take place at Land's End, Padstow and Falmouth. Men and women, boys and girls, young and old – everyone is welcome to join in. Cornwall’s favourite family pantomime. A brand new comedy cast present the magical story of Aladdin … bucket loads of sparkle and lots of fun makes this panto the perfect family festive treat at Hall for Cornwall. Draws many thousands of visitors each year. 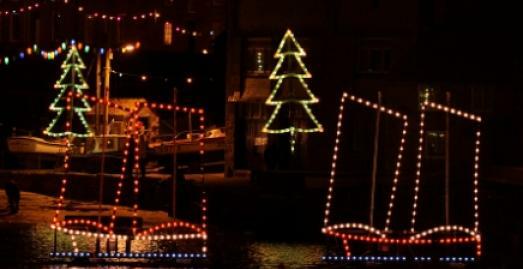 Truly a stunning sight, with floating displays of lights in the harbour + around streets filled with the aroma of mulled wine and festive food. 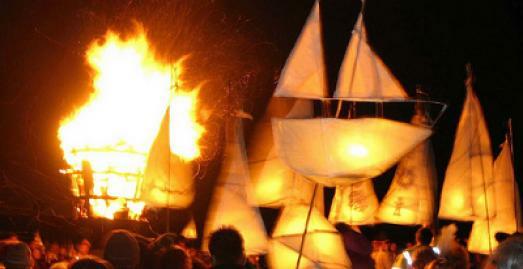 Six day arts and community festival based on Cornish traditions of the past, culminating in the main event, Montol Eve on 21 December when several fire beacons are lit.